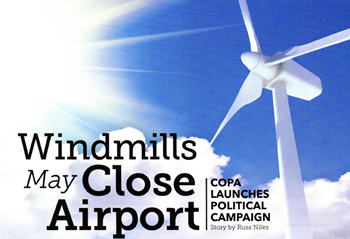 With COPA’s Freedom to Fly Fund and our member’s devotion, a panel decided the proposed windmills would pose a threat to human and the final decision was not appealed. We clearly believed this to be a threat to aviation and we will be using this outcome as a lesson for similar situations across the country. COPA funded the successful defense of a court case where a municipality sought to control the building of facilities on airports (the Henry Longhurst case). The case set a precedent confirming that airports and buildings on airports were under a federal jurisdiction and not municipal. This effort culminated in two decisions by the Supreme Court of Canada in which the Court upheld COPA’s position that jurisdiction rested exclusively with the Federal Government. In 2005, COPA won a landmark legal case in British Columbia (Regional District of Comox-Strathcona v. Hansen (2005)) where the court upheld that municipalities cannot regulate aerodromes or aeronautics. The fight to save the Banff and Jasper airports was spearheaded by local COPA members. The legal fees leading to the court injunction were paid from COPA’s Freedom to Fly Fund and feedback to the politicians and bureaucrats was provided by COPA members. In 2013, the federal government announced that the airstrips would remain open. Beginning in the late 1990s, COPA lobbied the Sault Ste. Marie Airport Development Corporation to show that that the $12.50 landing fee the airport imposed on light aircraft was driving business away. As a result of this effort, the management at the airport lowered their landing fee and waived it altogether with the purchase of fuel. 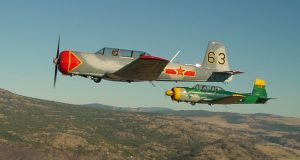 COPA was a key sponsor and supporter of simplified rules that would allow Canadians to own and fly ex-military aircraft. Today, almost all ex-military aircraft operating in Canada today are doing so as a result of this action. COPA was the driving force behind changes in Airworthiness Manual Chapter 549 (now CAR 507 Appendix C) to allow the importation of amateur-builts from other countries. COPA helped develop the Owner-maintenance Aircraft Category to assist owners of older, unsupported aircraft save money on the cost of parts and maintenance. In September 2004, we successfully lobbied to add 13 more aircraft types to the list of accepted O-M aircraft. 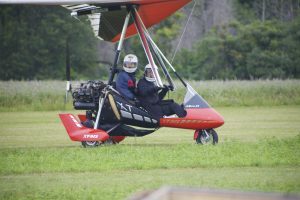 The association spear-headed the effort to permit passenger-carrying in ultralights. The final rule is in development. 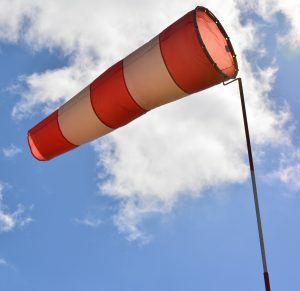 COPA successfully lobbied NavCanada to develop free Internet online weather information and deliver weather products in a plain-language format. Thanks to our collaborative working relationship with NavCanada, COPA is providing direct feedback on the installation of AWOS systems across the country. COPA’s lobbying pursuaded NavCanada to follow the American example of adding the coordinates of VFR call-up landmarks on VFR Terminal Charts so they can be included in GPS navigation receiver databases. COPA was successful in persuading Transport Canada to extend the sign-off period for pilot medical renewals by Civil Aviation Medical Examiners to the full term of the medical. COPA also negotiated longer periods between medicals for non-commercial pilots – increasing validity for those PPL-holders under 40 from two years to five years and those over 40 from one year to two. COPA requested changes to CAR 421.05 to make it much easier for non-TC organizations to put on a “Rust Remover” program that will officially count as two year recency training. Our accredited Rust Remover program is popular with members and COPA Flights across the country as a means of maintaining recency and recurrency. 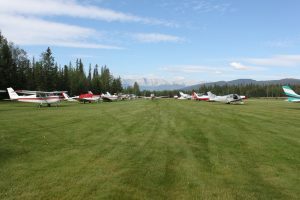 The association worked with the Air Transport Association of Canada to level the playing field between flying schools and freelance instructors without unduly restricting freelance work. On September 21st 2006 Transport Canada published their final decision that private IFR flights would not be subject to the new and very onerous IFR approach ban requirements imposed on commercial airlines. Originally TC had proposed changing the rules for all IFR flights, but COPA successfully argued that private IFR flying was not driving the dismal IFR approach safety record. 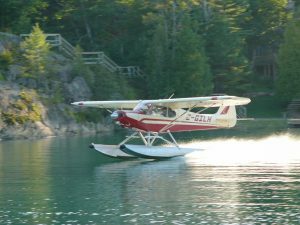 COPA has successfully worked with many agencies and organizations to ensure that floatplanes retain access to provincial parks in BC and Ontario. The Federal Aviation Administration responded positively to COPA feedback by not applying overflight fees to aircraft flying point-to-point in Canada via American airspace. When new Homeland Security restrictions requiring eAPIS filings for all flights transiting US airsapce were brought into force without notice in 2015, COPA joined industry partners in successfully removing this requirement for point-to-point flights within Canada. COPA worked with Canada Revenue Agency to bring CANPASS back into existence after it was suspended in the wake of 9/11.